On the 31st of January, 2015 the MB&F M.A.D.Gallery was launched in Dubai’s Alserkal Avenue, bringing a captivating universe of kinetic art to the Middle East. Being presented in the UAE by Ahmed Seddiqi & Sons to showcase cutting-edge mechanical and kinetic art, the M.A.D. Gallery Dubai exhibits works that exemplify intricacy of detail, originality of concept and exquisite craftsmanship across the field of kinetic art. M.A.D. 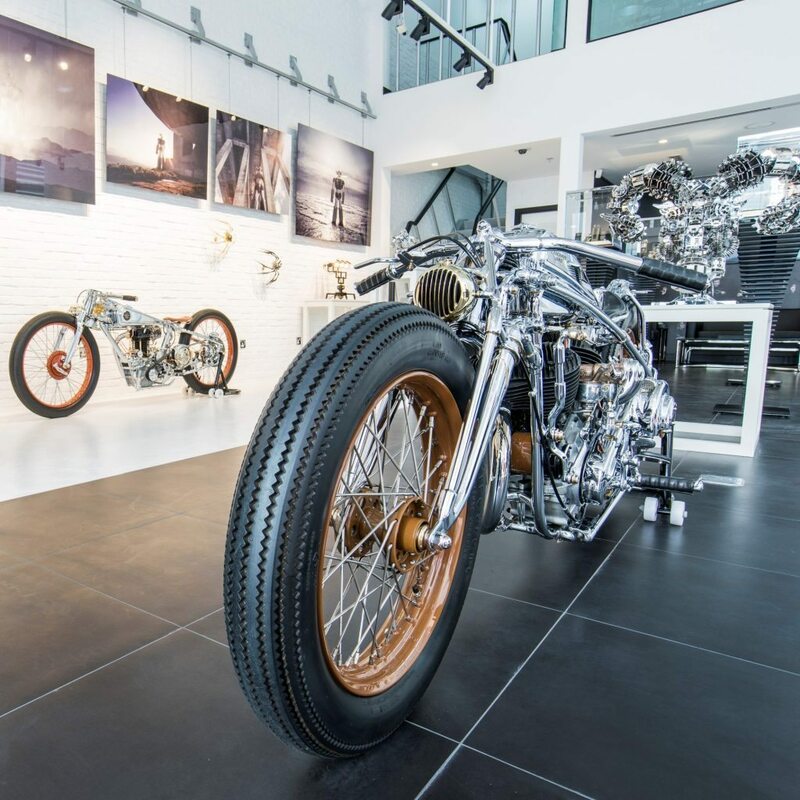 Gallery Dubai presents prestigious artists in the field of mechanical art including Chicara Nagata, whose award winning “road machines” have required each over 7’000 hours of work, by the master himself. Visitors to M.A.D. Gallery can explore a selection of carefully curated Mechanical Art Devices by an impressive roll call of international artists including; Berlin-based artist Frank Buchwald’s ‘Machine Lights’; striking metallic sculptures by Chinese artist Xia Hang; cheeky kinetic creations crafted by UK-based creative collaboration Laikingland, an artist-engineer team with a quirky sense of humour; and French-born Quentin Carnaille’s intricate pieces created using thousands of vintage watch components. Inspired by the drive to create a universe where mechanical art reigns supreme, MB&F created the M.A.D. Gallery to showcase kinetic art in an environment where their mechanical prowess can be fully appreciated. Through creating this environment MB&F have found kindred spirits in the world of kinetic art, and an appropriate context in which to situate their Horological and Legacy Machines. The M.A.D. Gallery Dubai is the third instalment of this innovative concept, after Geneva and Taipei. The gallery is located at Al Serkal Avenue, Street 8 in Al Quoz 1, Dubai and will be open to the public from 10:00 am to 7:00 pm daily, Fridays closed.